Alicia takes on a sample used on Kanye West's "The Life Of Pablo." 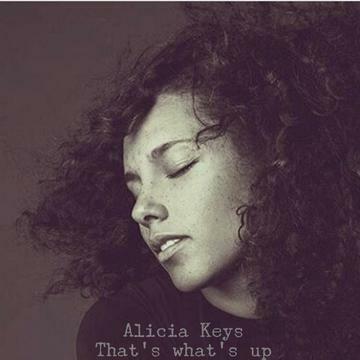 Alicia Keys turns 36 years old today, and she's celebrating with a new track called "That's What's Up." Anyone familiar with Kanye West's The Life Of Pablo deep cut "Low Lights" will recognize the sample, which comes from Kings of Tomorrow’s "So Alive." Alicia chooses to sing over the buzzing bassline of the record, exploring the spacey groove with her soaring voice. She shared an accompanying video for the song on Twitter, which finds her getting into a bubble bath with a glass of red wine. Not a bad birthday celebration in itself. Stream Alica Key's 2016 album HERE. Watch the video below.